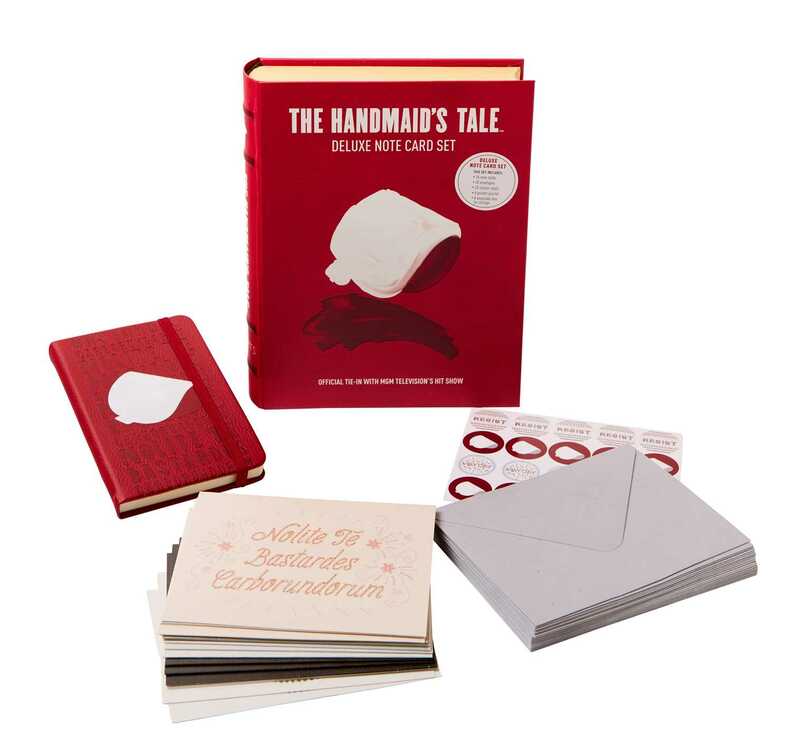 Show your commitment to the resistance with this stunning note card set based on The Handmaid’s Tale. The Handmaid’s Tale—the groundbreaking show produced by MGM Television, and based on Margaret Atwood’s best-selling novel—has drawn rave reviews and attention worldwide. Now, fans can share their appreciation for the show with this deluxe note card set. Featuring iconic imagery and catchphrases from the show, this stunning set captures the iconic look and feel of The Handmaid’s Tale. Including a pocket journal, twenty note cards, envelopes, and sticker seals, all stored in a gorgeous keepsake book box, this is the ultimate gift for fans to share their love of the book and show with friends near and far.